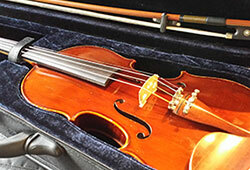 We offer consistently high quality violins, violas and cellos. Even though they cost the company more, we buy only the highest quality rental instruments. We will not compromise when it comes to delivering quality and functionality to our customers! Our professional shop sets up and maintains our instruments in-house to the highest standards, so our instruments look and sound great and give students the best chance at success in their musical studies. The sales staff includes professional string players and teachers. Drawing on the expertise of our sales staff and repair staff, we can answer virtually any question a string player (or parent of a budding string player) might have. Our rental rates are affordable and we offer a liberal equity-building program against future purchases. We maintain an extensive teacher referral network all over the Chicago area. Midwest String Rentals is there for those who want rental violins, violas, and cellos that consistently look good, function at a high level, and give a student the best possible chance for success in playing a string instrument. We enjoy what we do, are proud of what we offer, and are eager to meet all of you whenever you come in. The Darnton & Hersh Fine Violins and Midwest String Rentals workshop and gallery are close to Symphony Center, on Adams Street between State and Wabash. We are conveniently located close to major cultural attractions of Chicago, public transportation, and the Adams-Wabash parking garage. Our facilities are large and up-to-date, with great views of the city from the fourteenth floor: Chicago at its best! Please stop by the workshop and gallery to say hello, and don’t ever hesitate to contact us with any questions you may have.